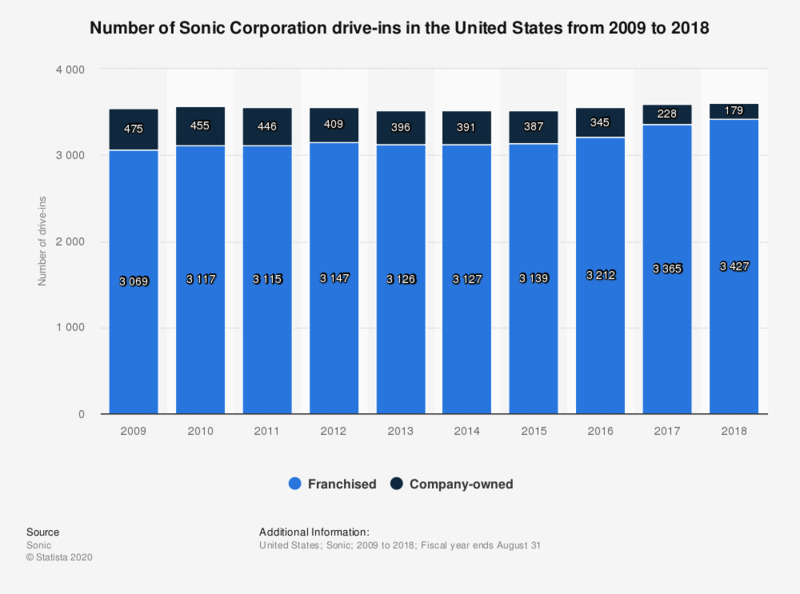 This statistic shows the number of Sonic Corporation drive-ins in the United States from 2009 to 2018. In 2018, there were 3,606 Sonic Corp. drive-ins in the U.S. Sonic Corporation, founded in Oklahoma, United States in 1953, is a drive-in fast-food restaurant chain. Figures for earlier years have been taken from previous annual reports.